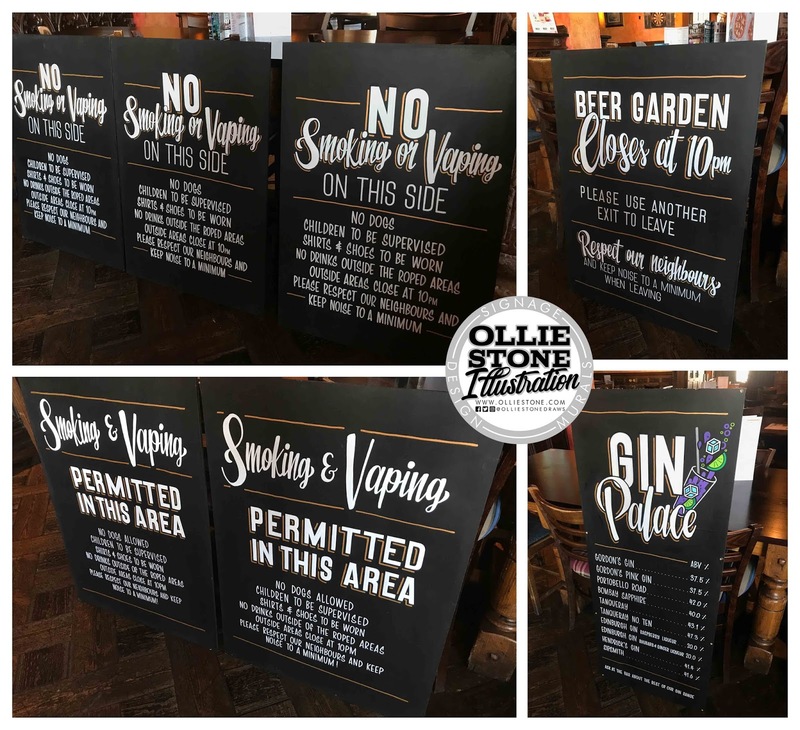 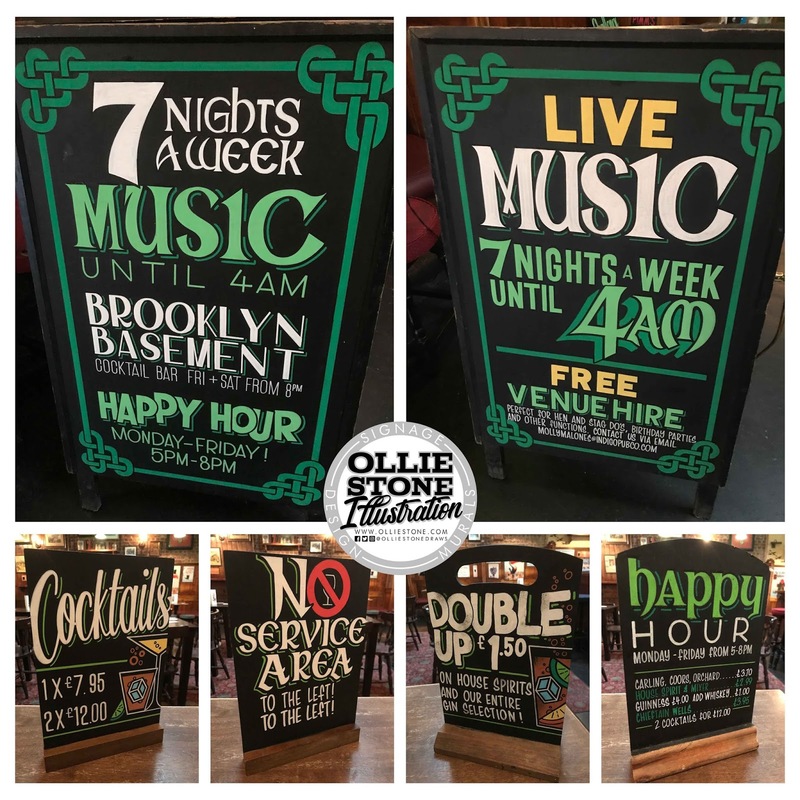 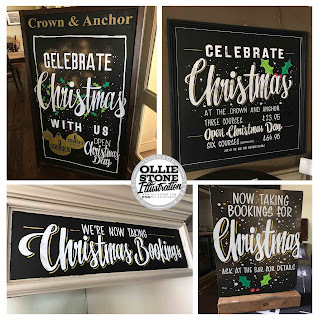 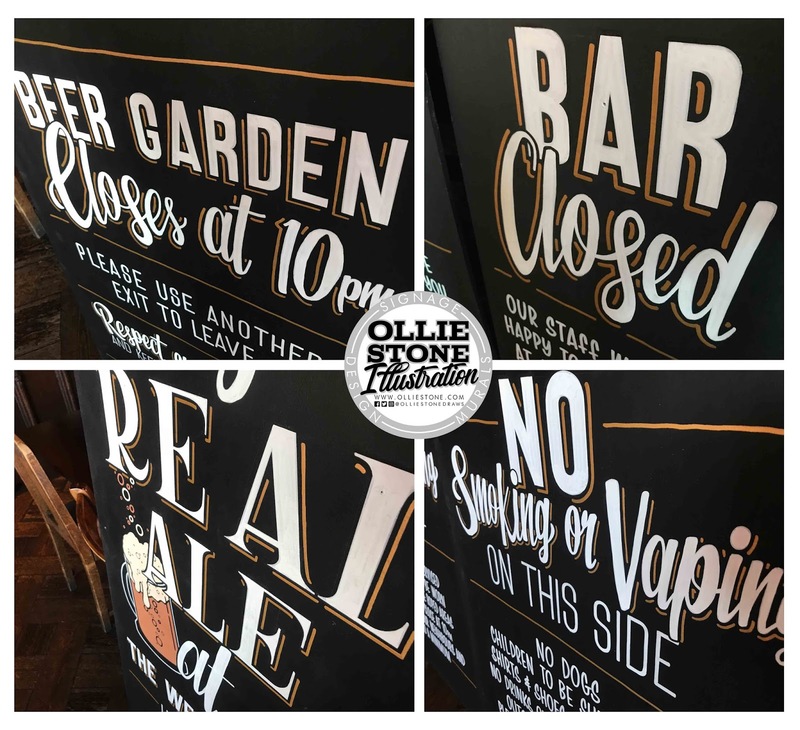 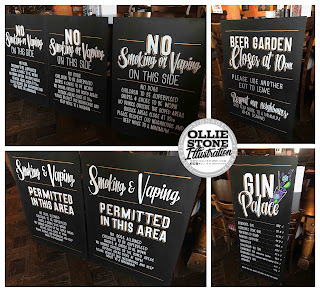 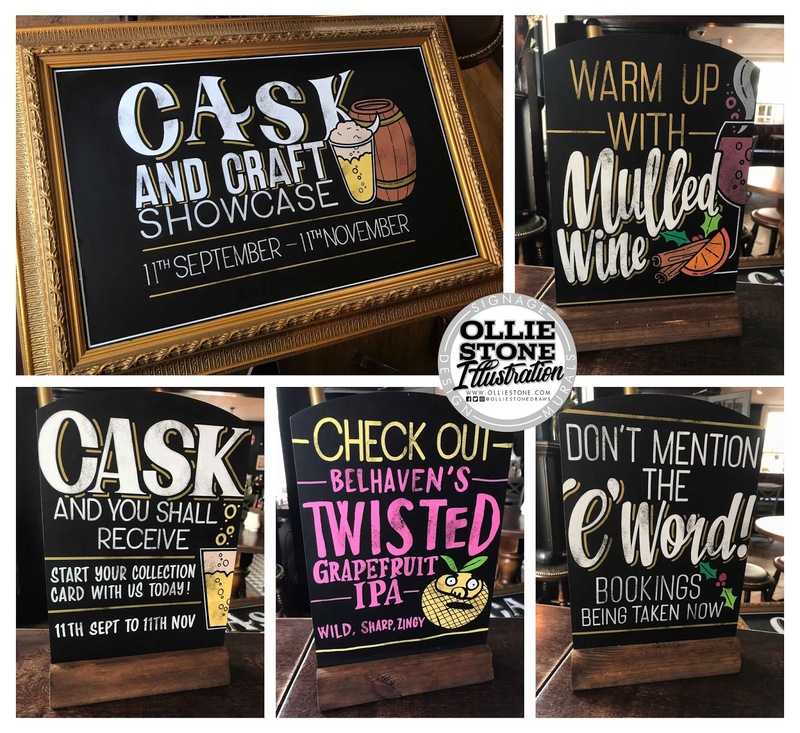 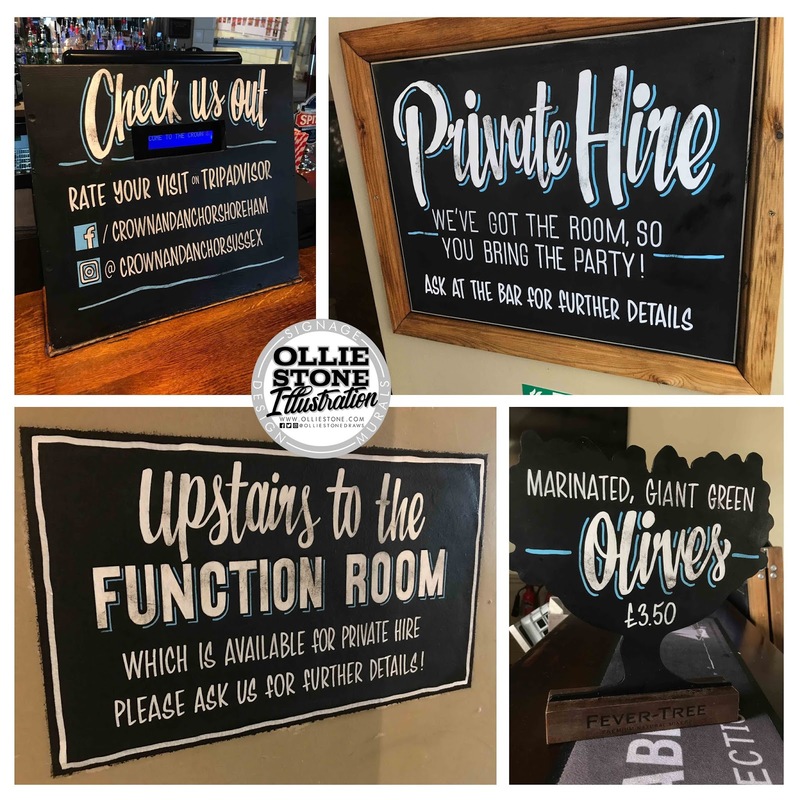 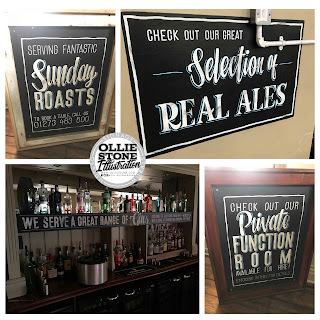 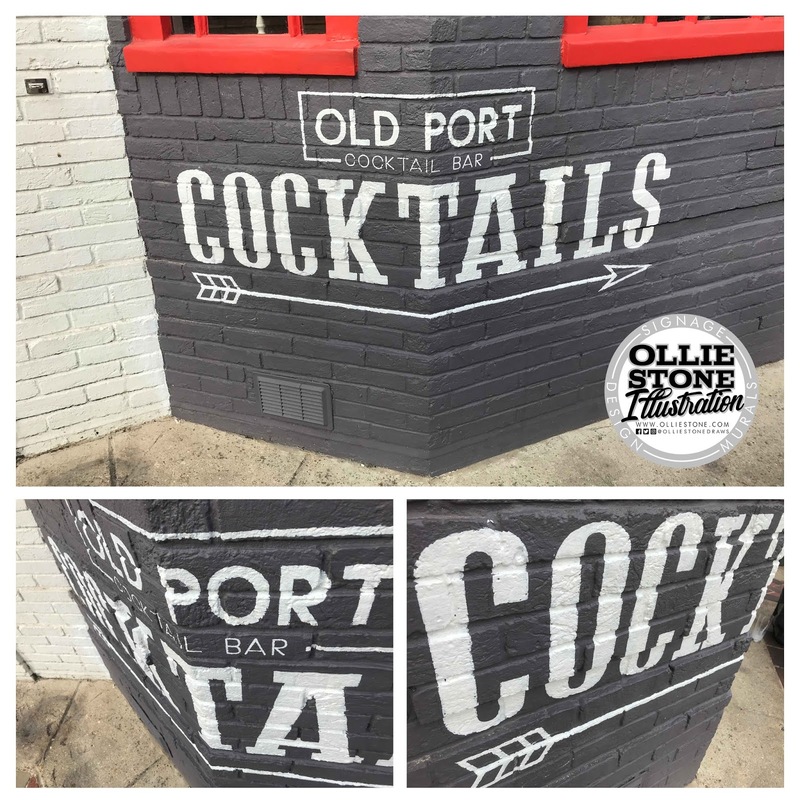 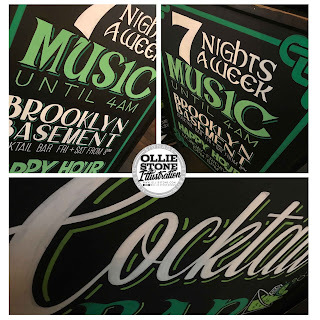 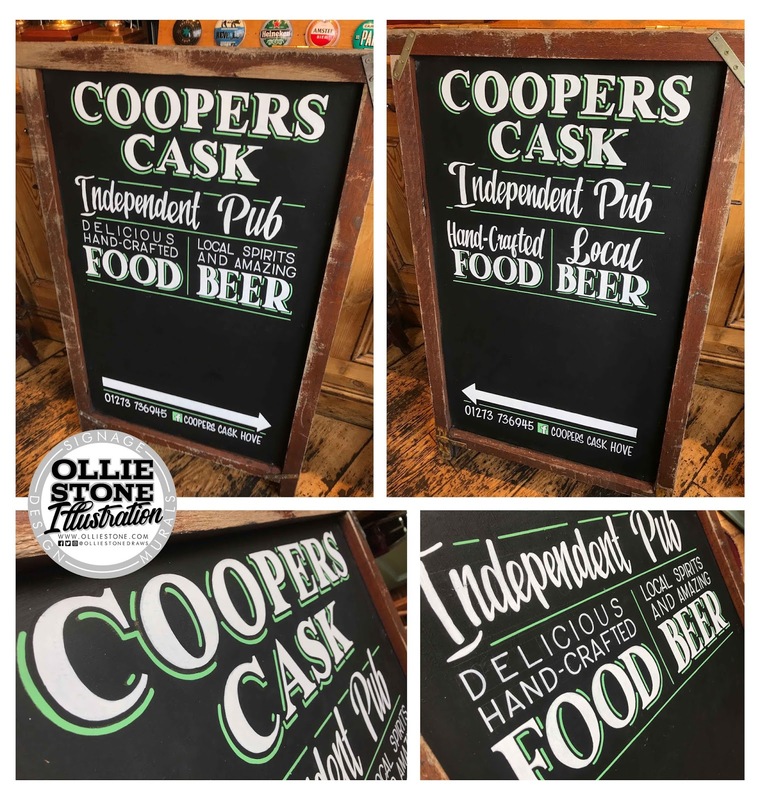 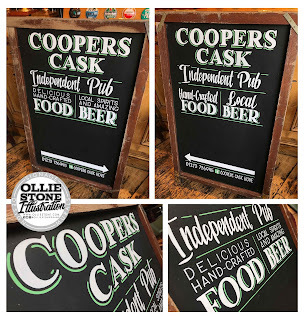 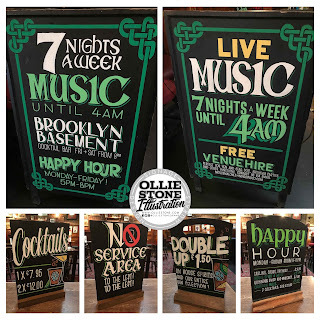 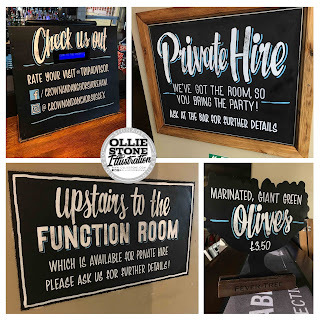 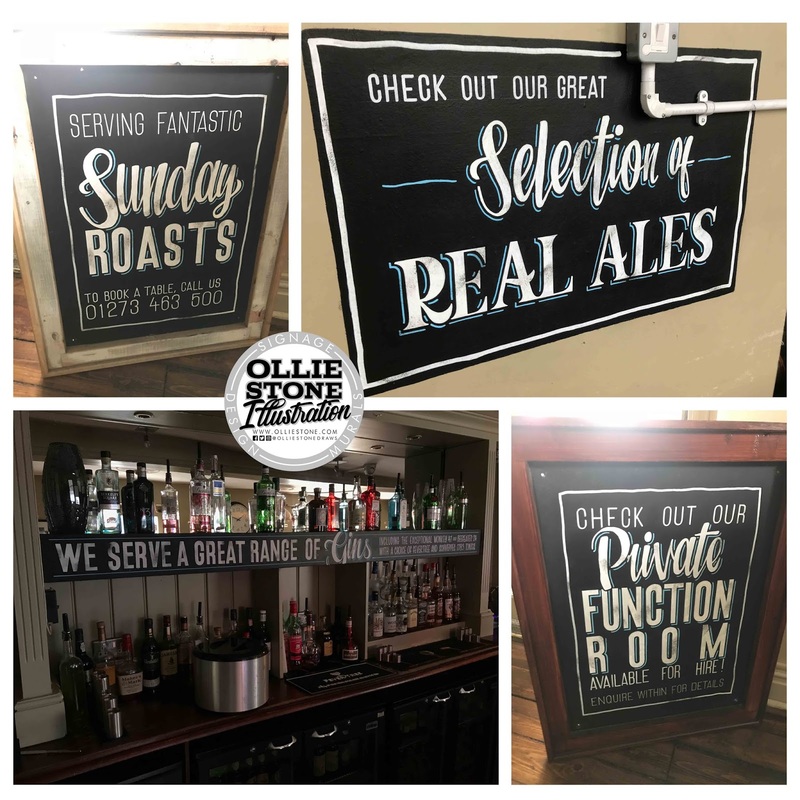 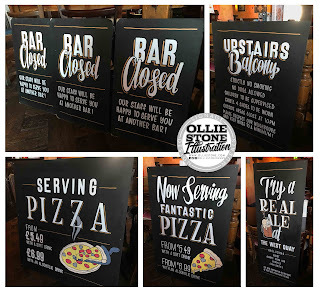 Hand-painted chalkboards and traditional sign writing. 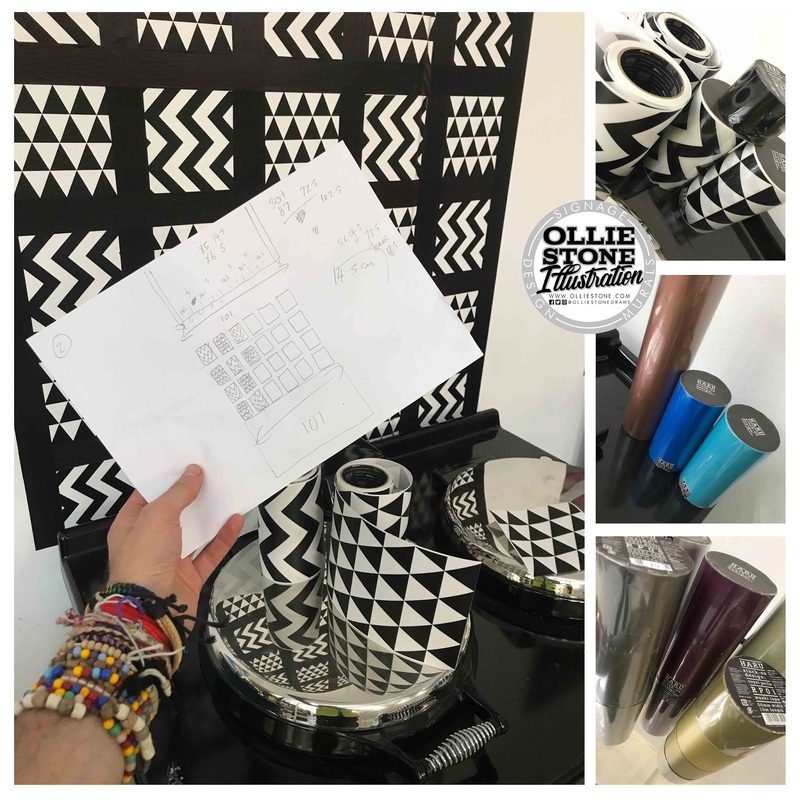 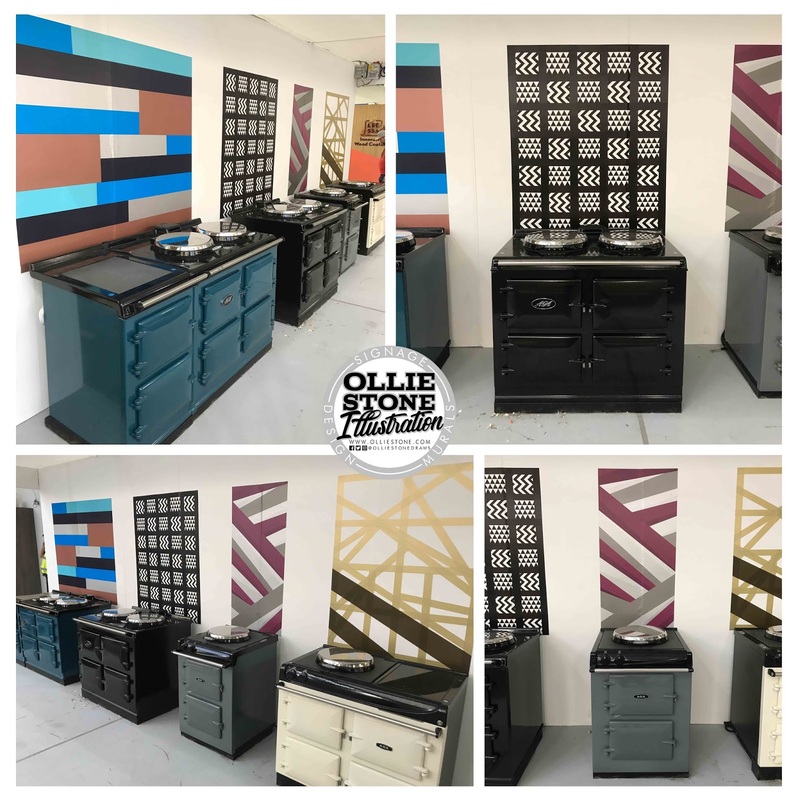 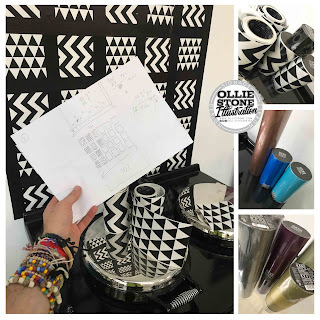 Stand design for AGA London at 100% Design at London Olympia. 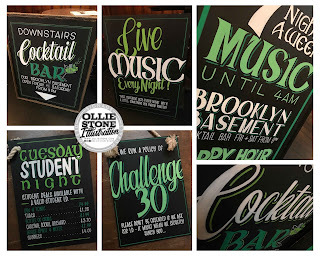 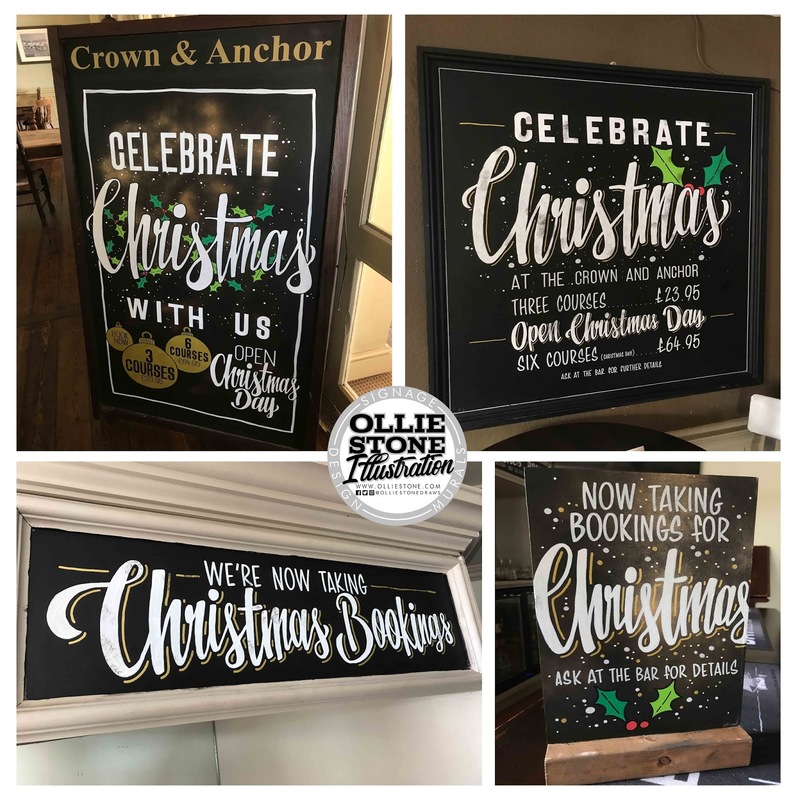 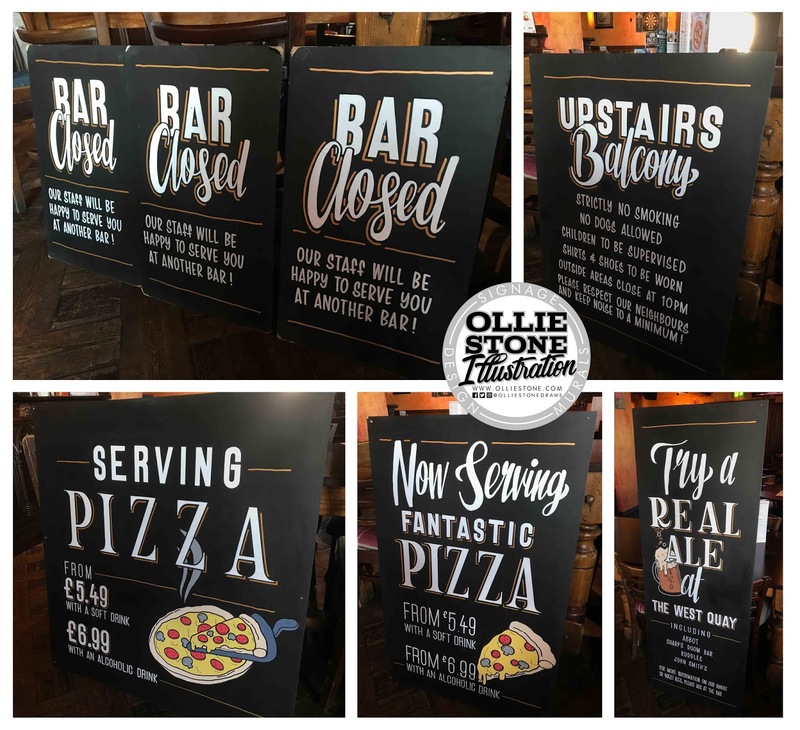 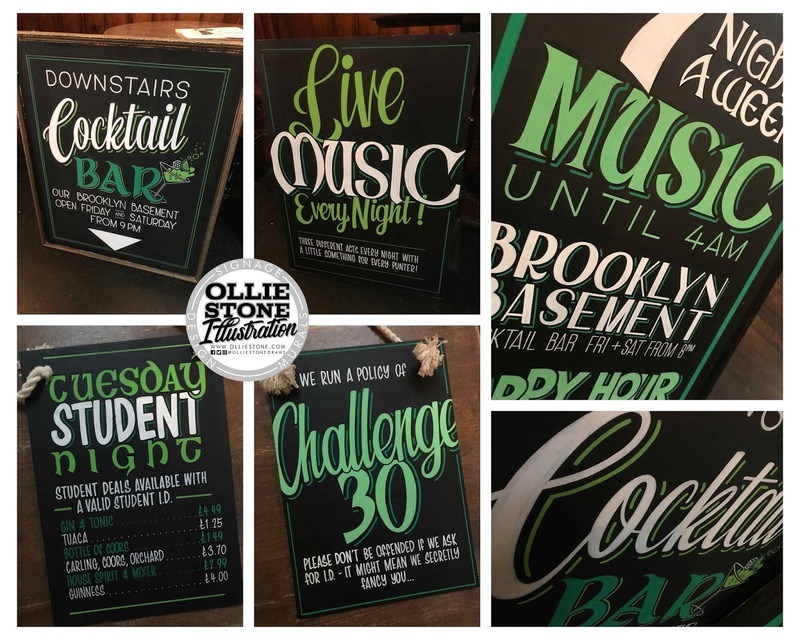 Chalkboards, hand-painted for the University of Buckingham. 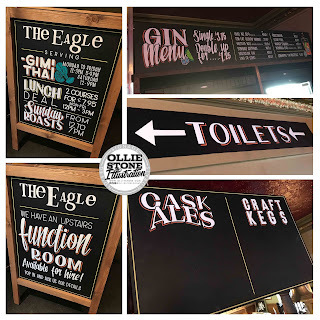 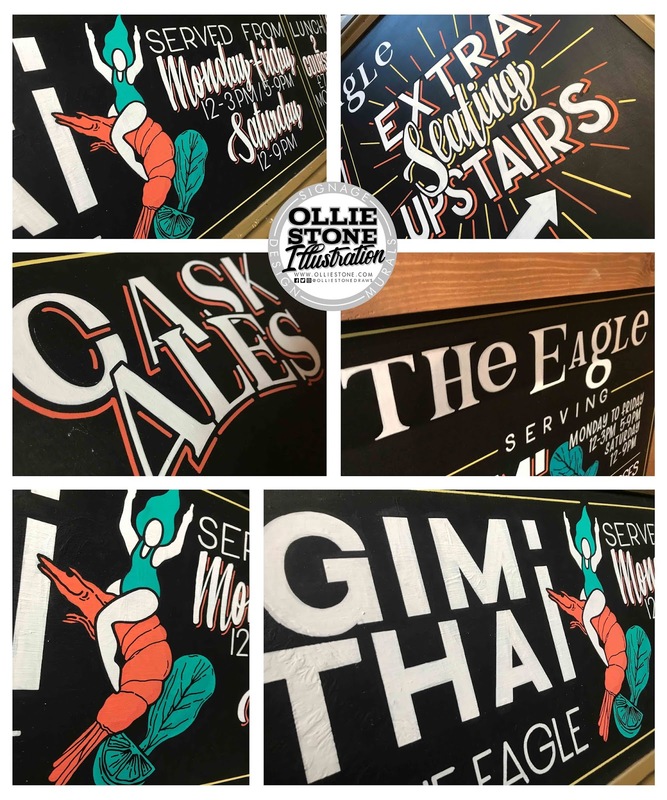 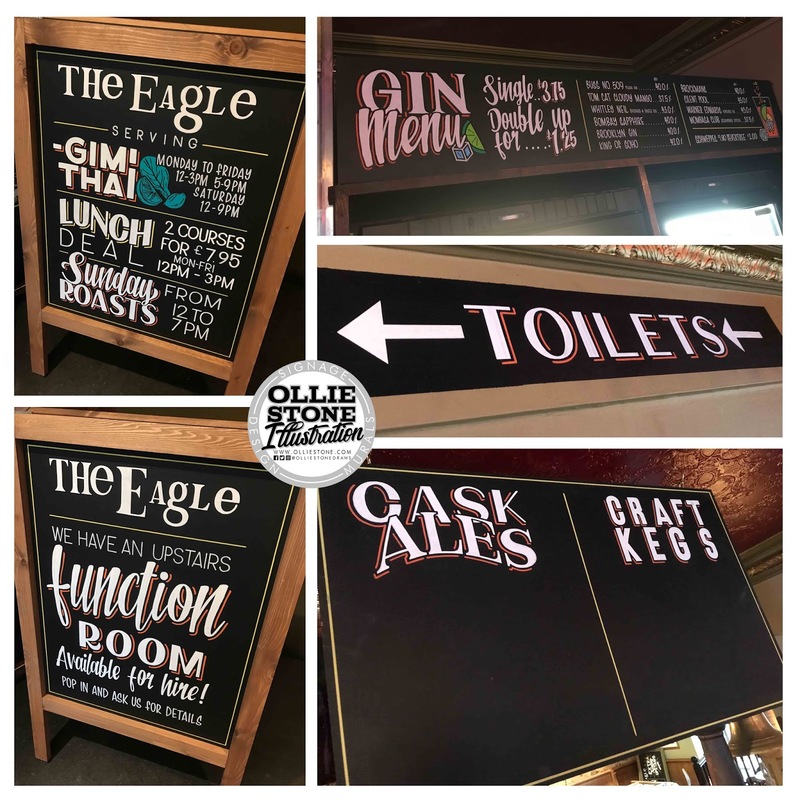 Chalkboards, hand-painted for The Eagle, Brighton. 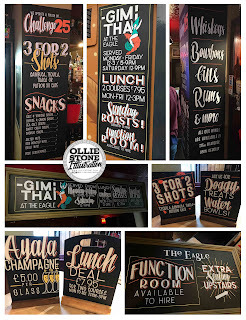 Chalkboards, hand-painted for The Joker, Brighton. 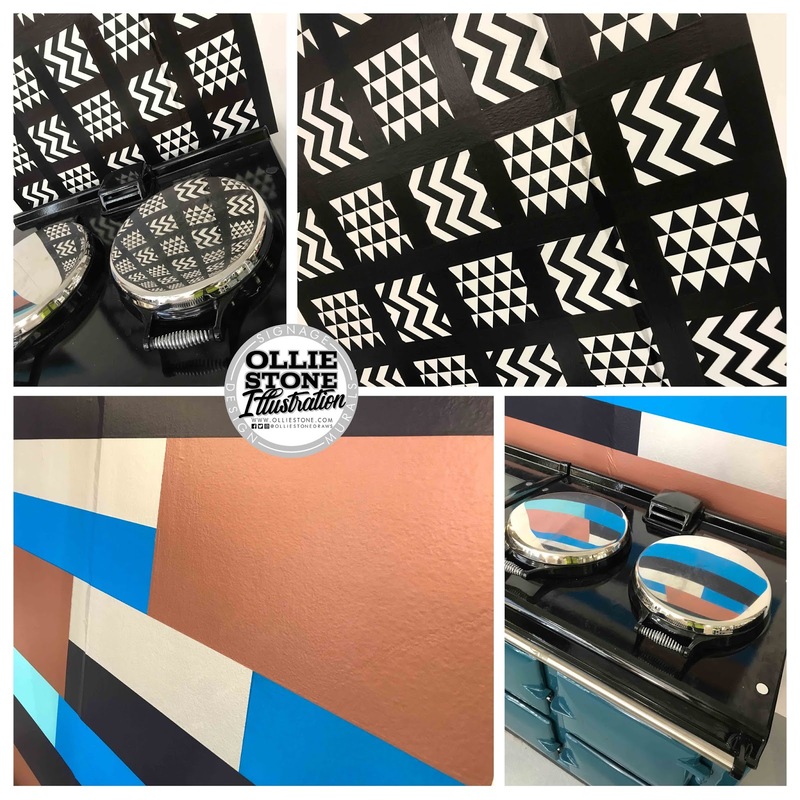 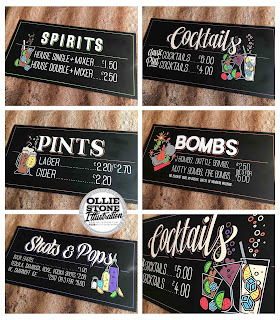 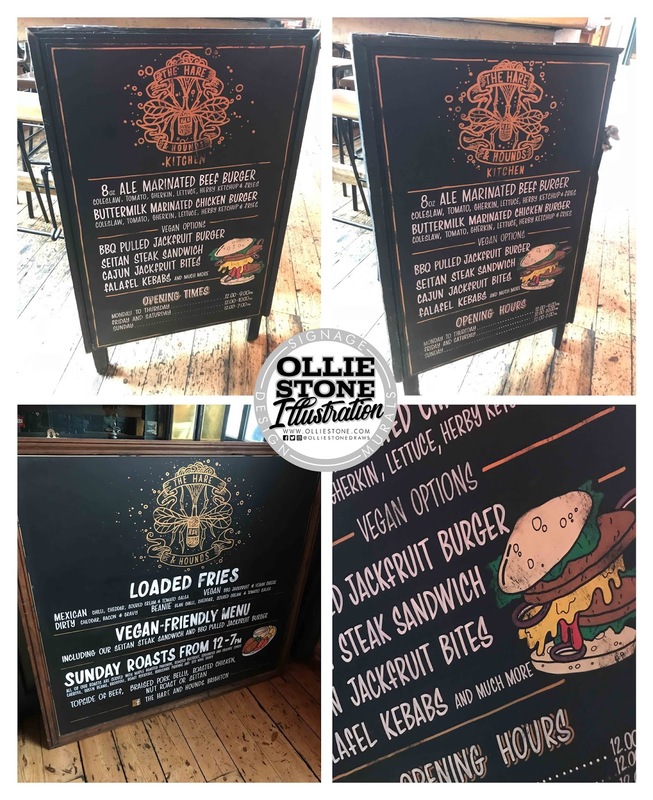 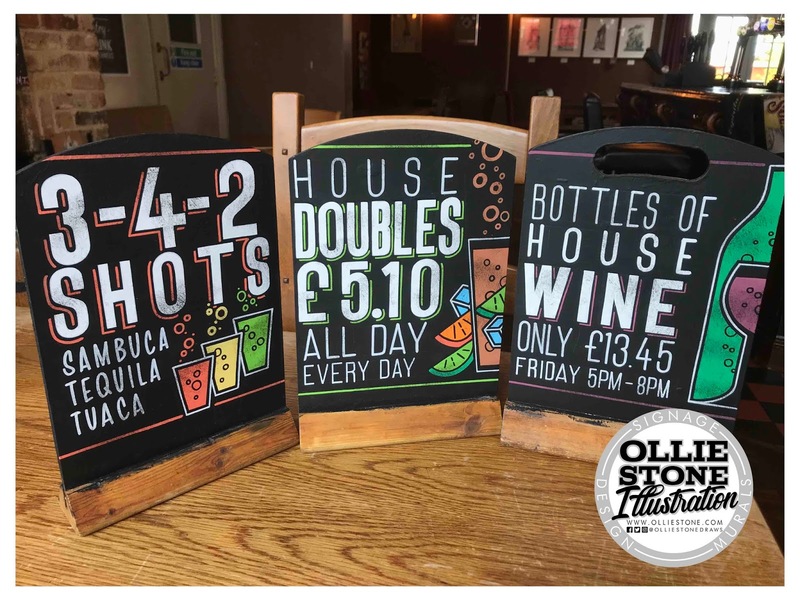 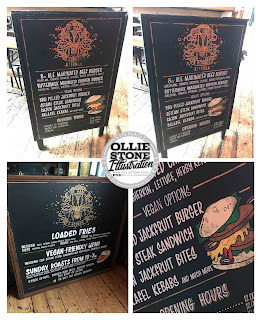 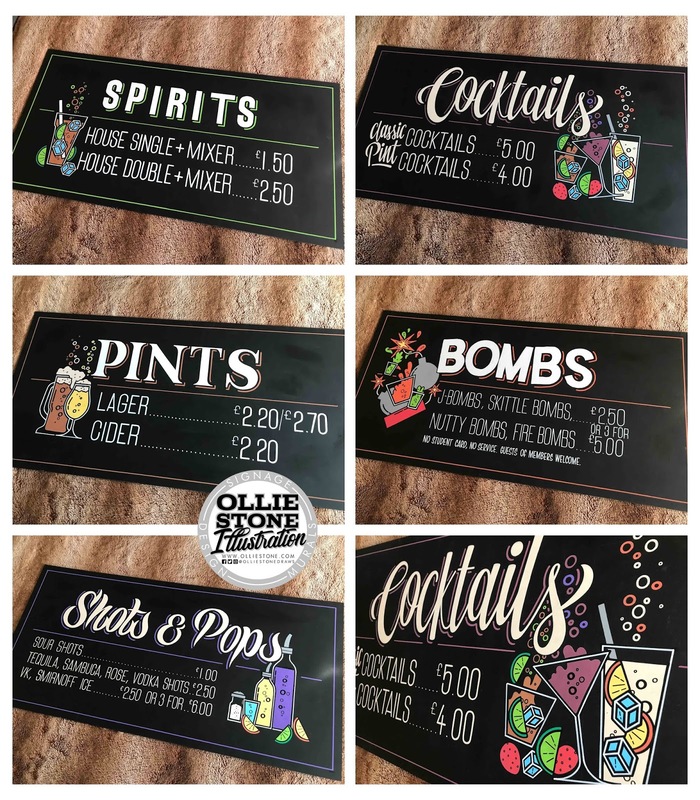 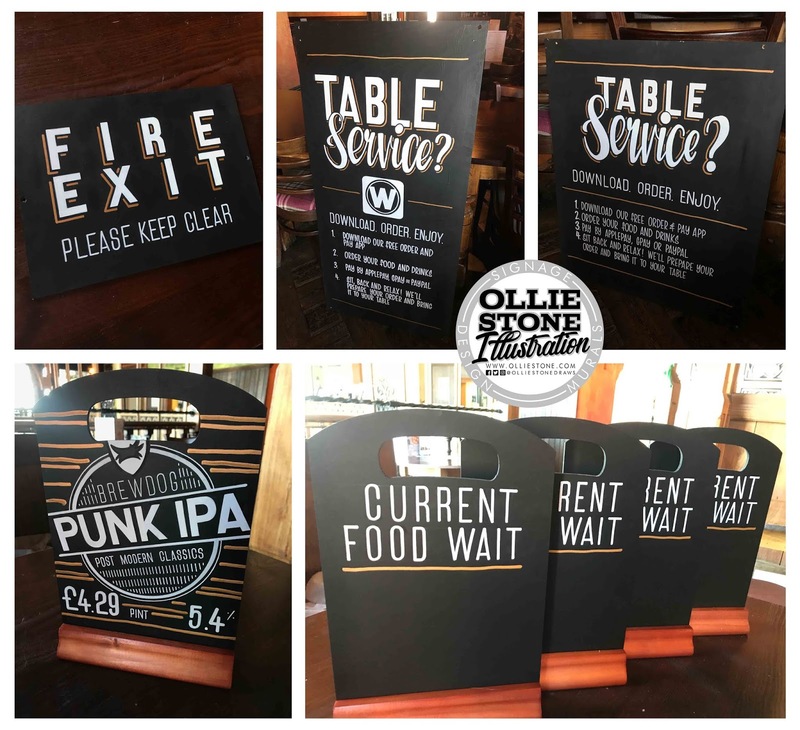 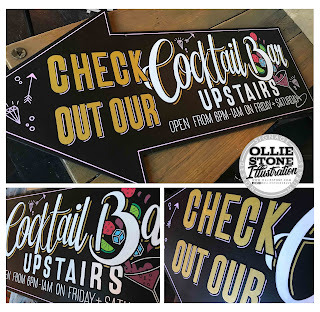 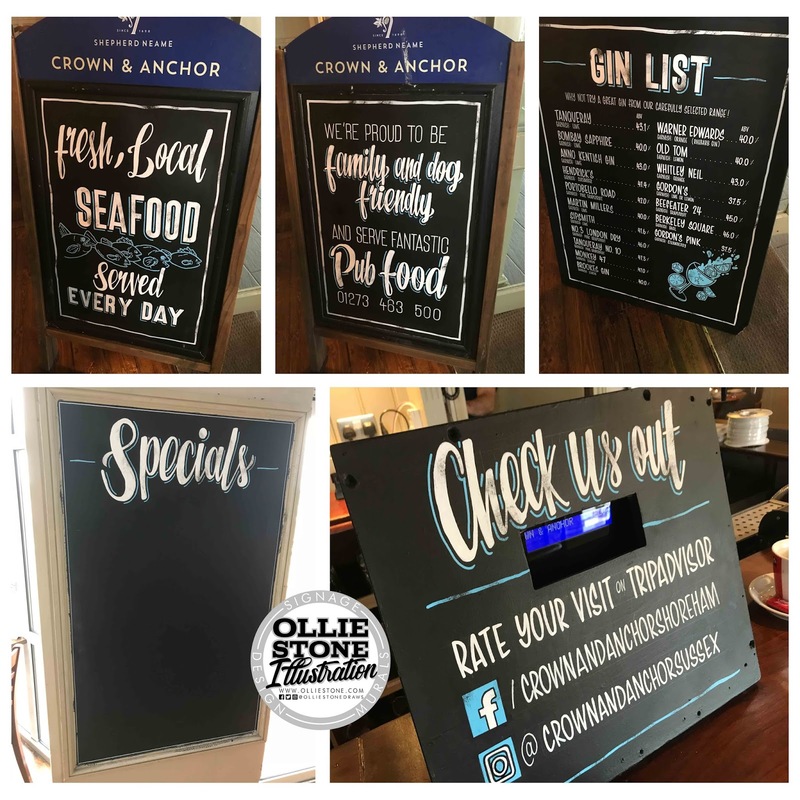 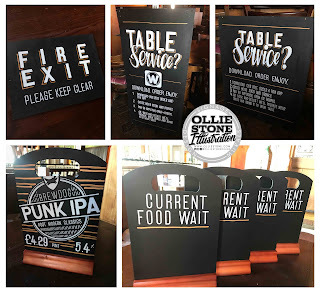 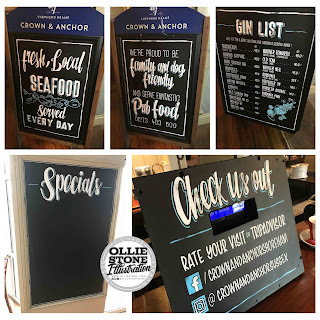 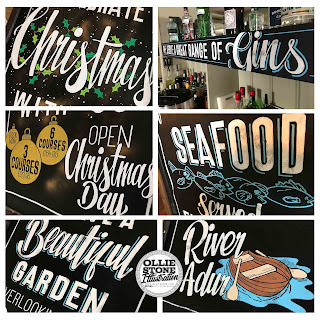 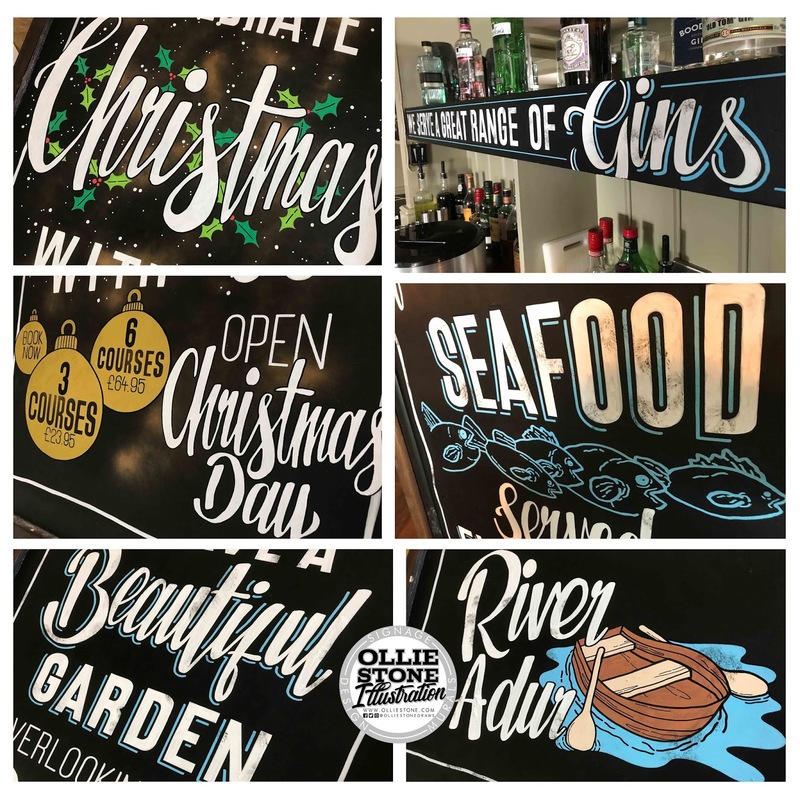 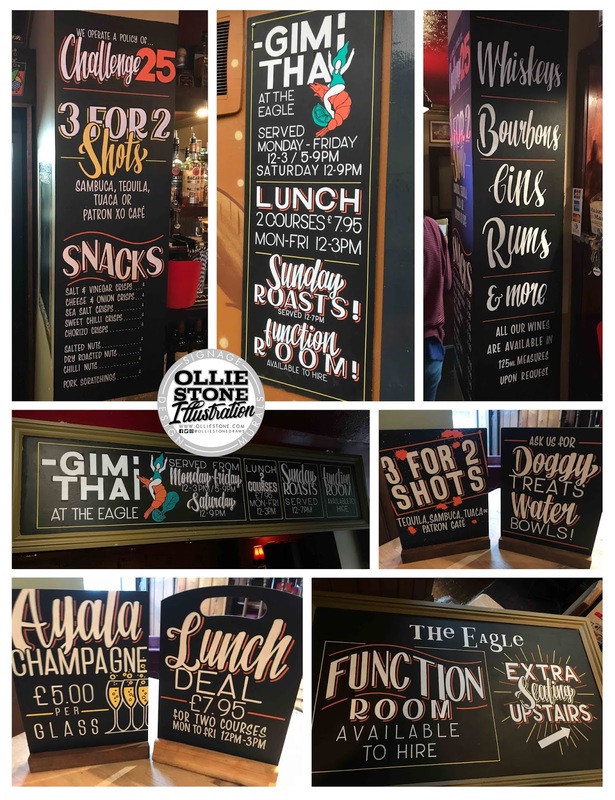 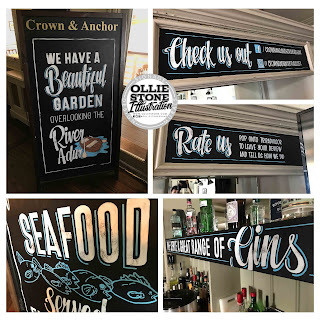 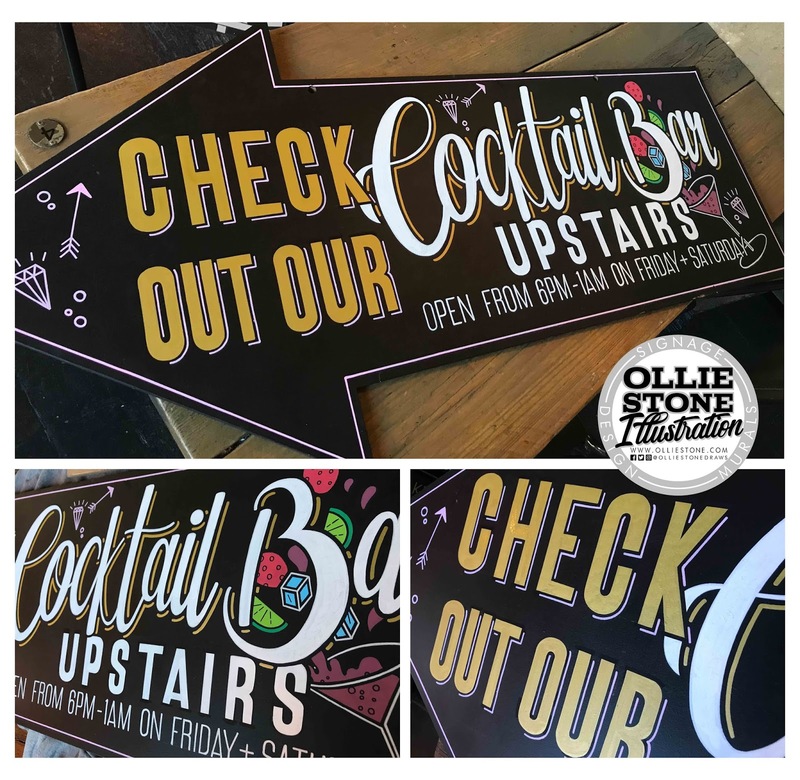 Chalkboards, hand-painted for The West Quay, Brighton. 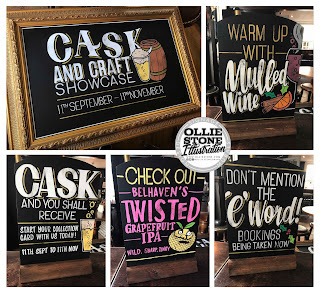 Pub chalkboard artist for hire.